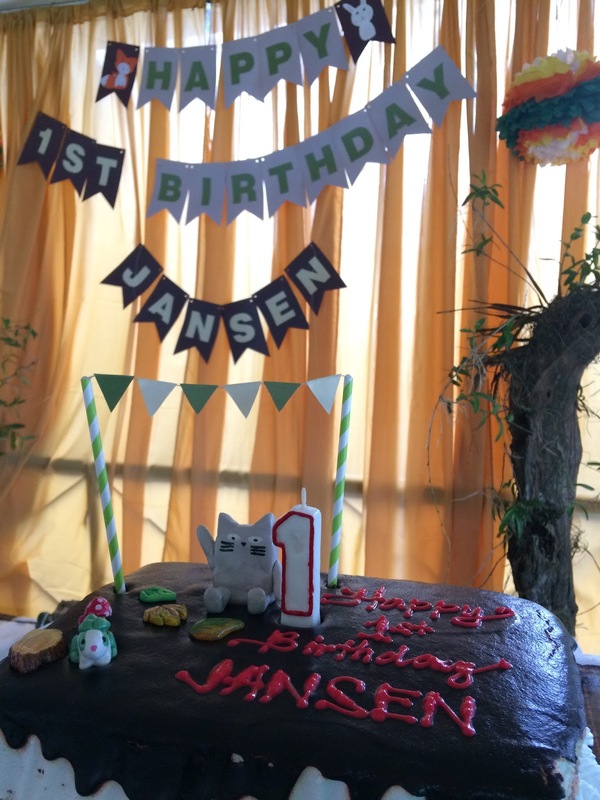 Jansen’s year flew by in a snap. I can still remember writing his birth story as if it was just yesterday. When I had Iya, she was the sun and everything revolves around her life. 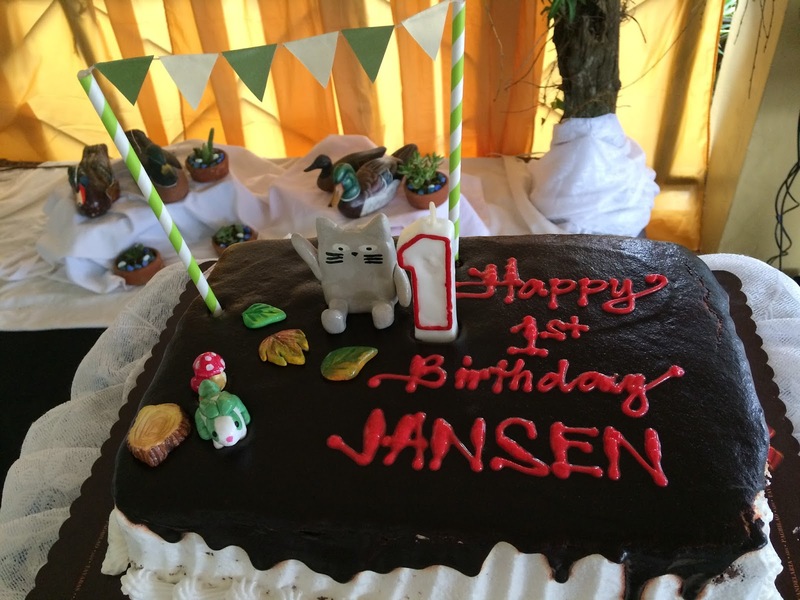 With Jansen, everything was chaotic and I have to get through each day one at a time. Enter his birthday… which is one day after the most wonderful time of the year. Everybody is in a rush and our family is no exception. We scramble to complete the Christmas shopping, attend activities in Julia’s school, attend Christmas parties, endure the holiday rush, and get through the whole holiday extravaganza! I started thinking about what to do for his party just at the end of November and then finalized the theme around the first week of December. How crazy does that sound for a control freak like me? It took me 6 months to finalize Julia’s party but here I am finalizing every thing within a few weeks. 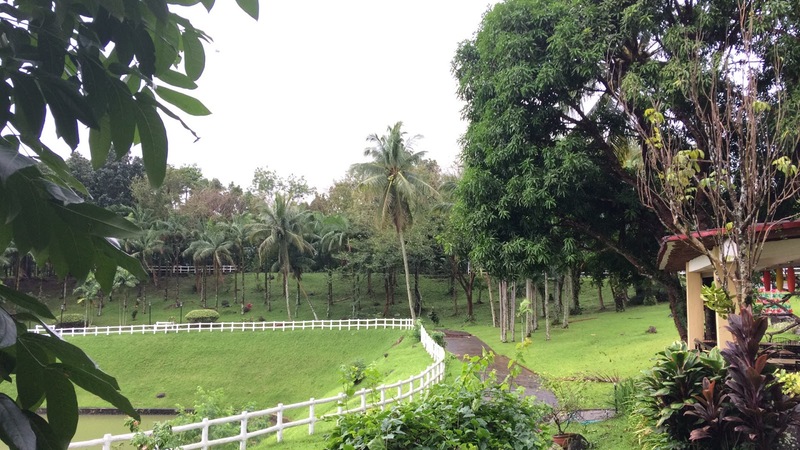 I just know that we will celebrate in Tayabas because it has been a family tradition to celebrate Christmas there. 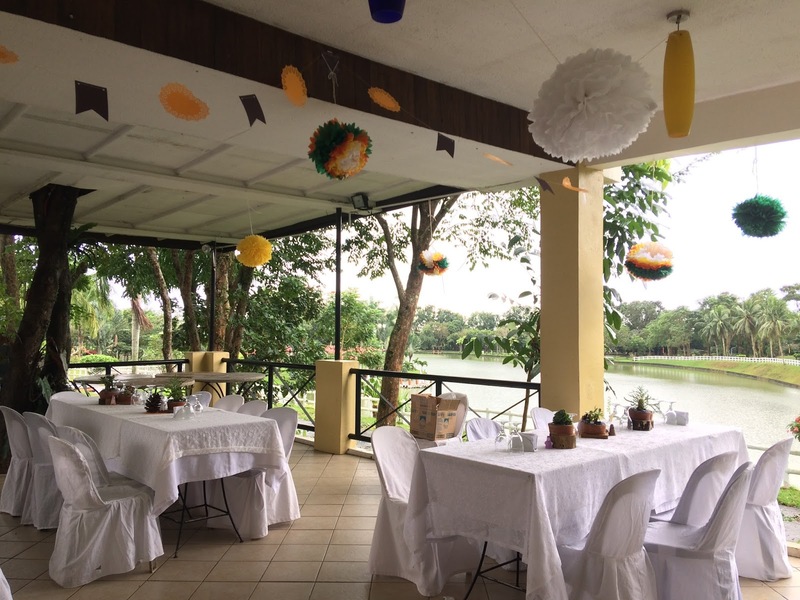 Nanay chose Graceland, the venue for all our celebrations. 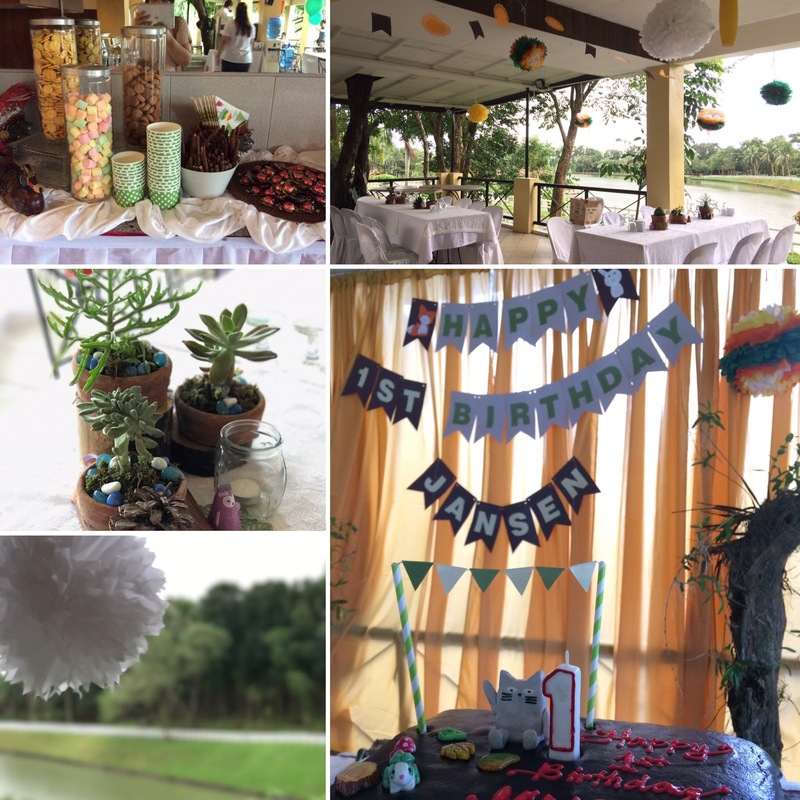 I opted for a forest themed party with a slight variation because it matches the background and view perfectly. I incorporated Jansen’s lovey Flat Cat since I took monthly photos with it as a scale. 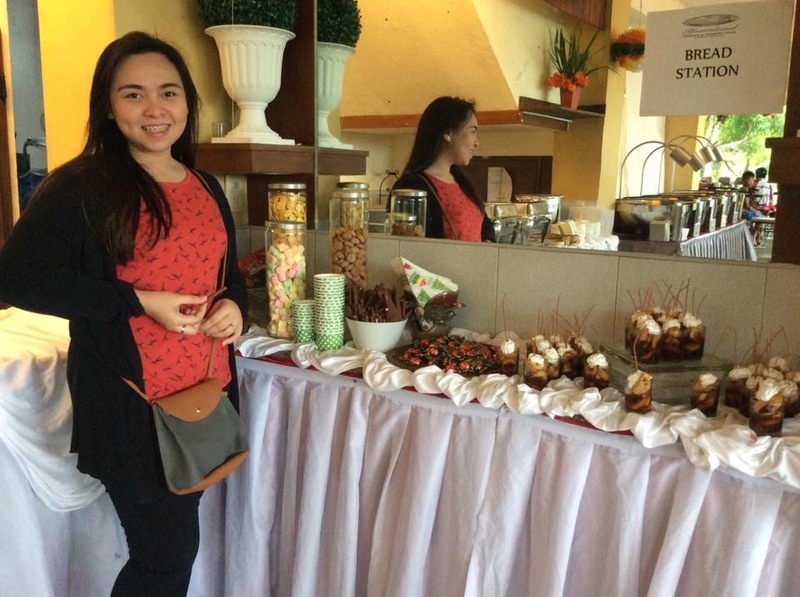 I had to make it a DIY party because there are no party stylists to cater to my theme, specifically in the province, and within my budget (yes pagtitipid!). And since I want to remind my future self what I did, here are the details. 1. 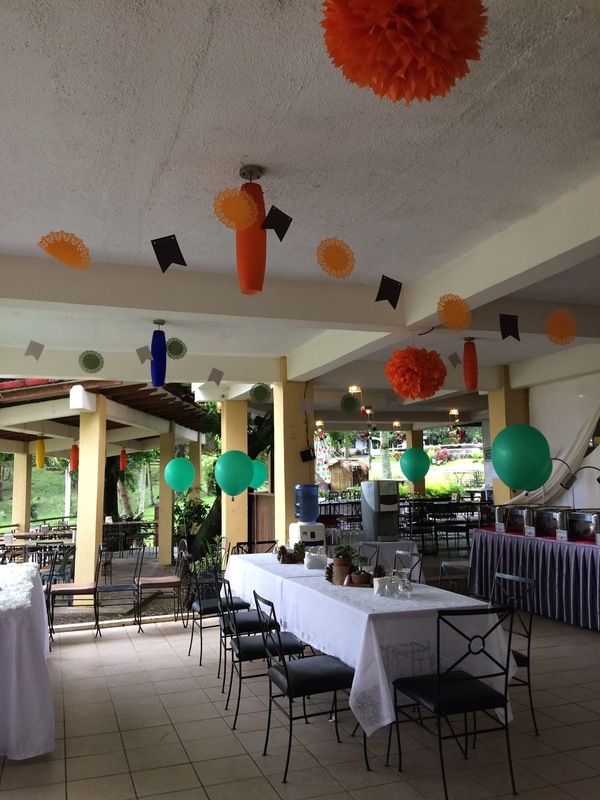 The table décor – I wanted the table to look nice and be part of the giveaways. 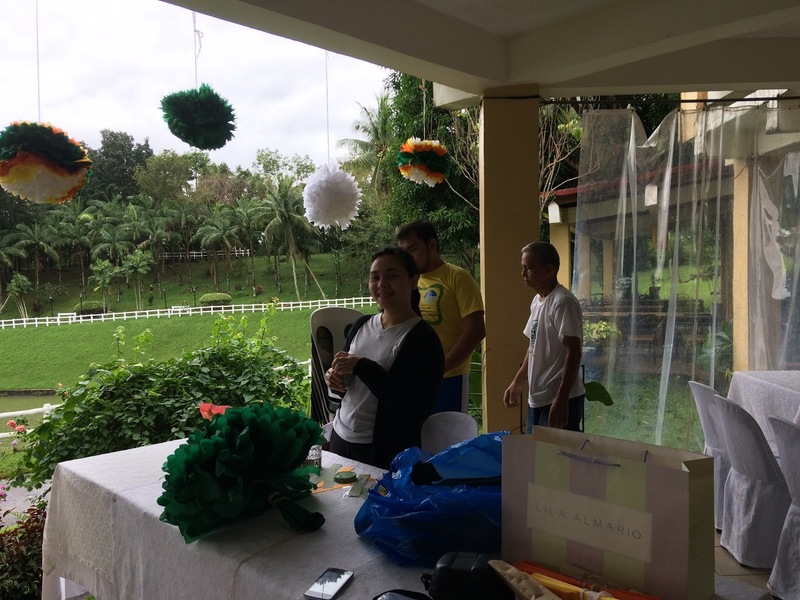 When Iya had her party the table décor were flowers and stuffed toys that were also part of the giveaways. So I bought cactus in Q.C. circle with my ever supportive friends Astrid and Carmen. 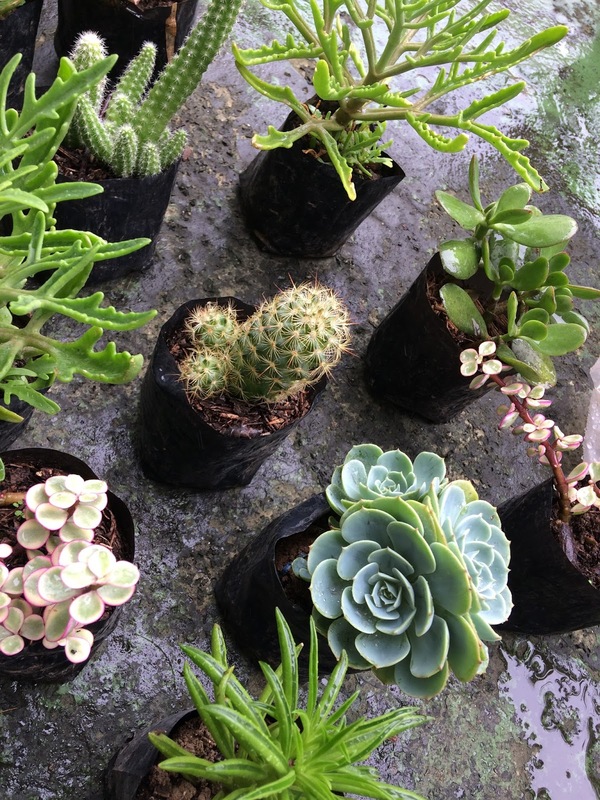 I paid 25 pesos per cactus and grew them in my balcony for a good 3 weeks. 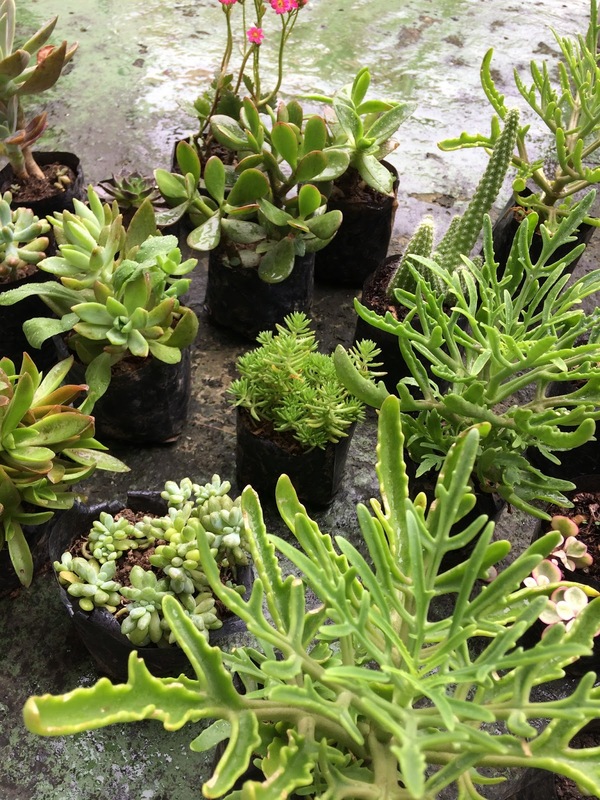 I also bought small pots and moss for 9 pesos each and 20 pesos per bag. I also wanted wood platform so I asked my macho officemates Simon and Omar to have a good workout preparing the wood. We just got discarded branches, divided into 20 varying thickness, and applied sanding sealer. 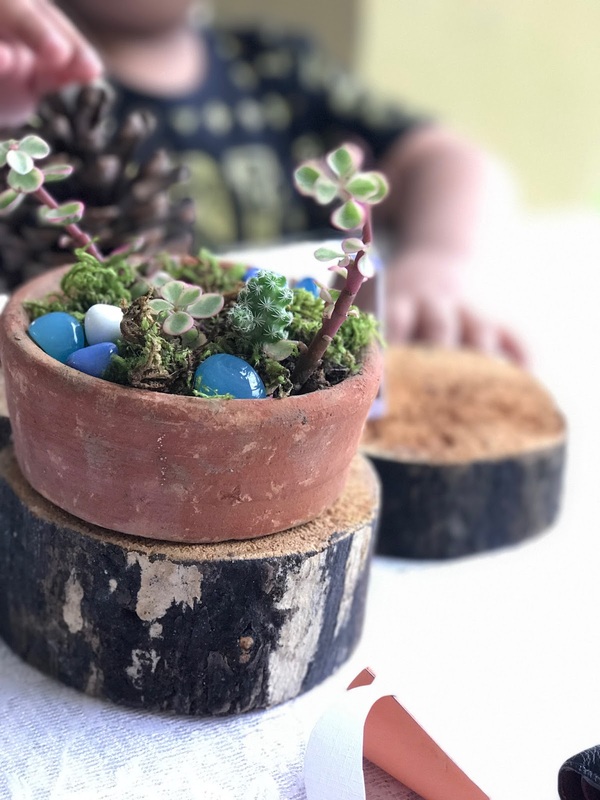 Instant rustic décor! Tatay Bing also got discarded wood from their furniture shop and made the super high quality solid wood coaster! The doilies are made by Carmen because she wanted to test her new Martha Stewart cutting tool. How extremely lucky she has this leaf pattern! So I bought the papers in National and asked nicely if she would cut for me! 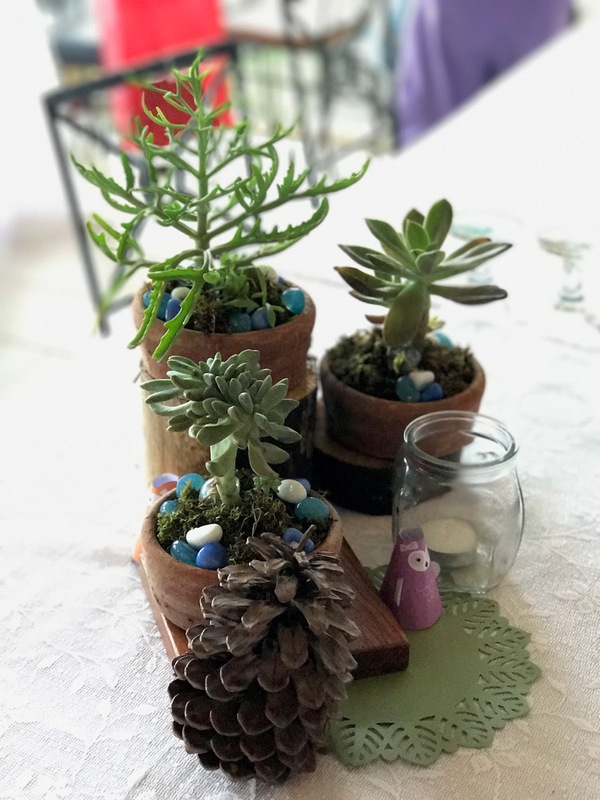 And for the extras I got Nanay’s glass containers, pinecones, and assembled the forest animal printout I got from the internet. 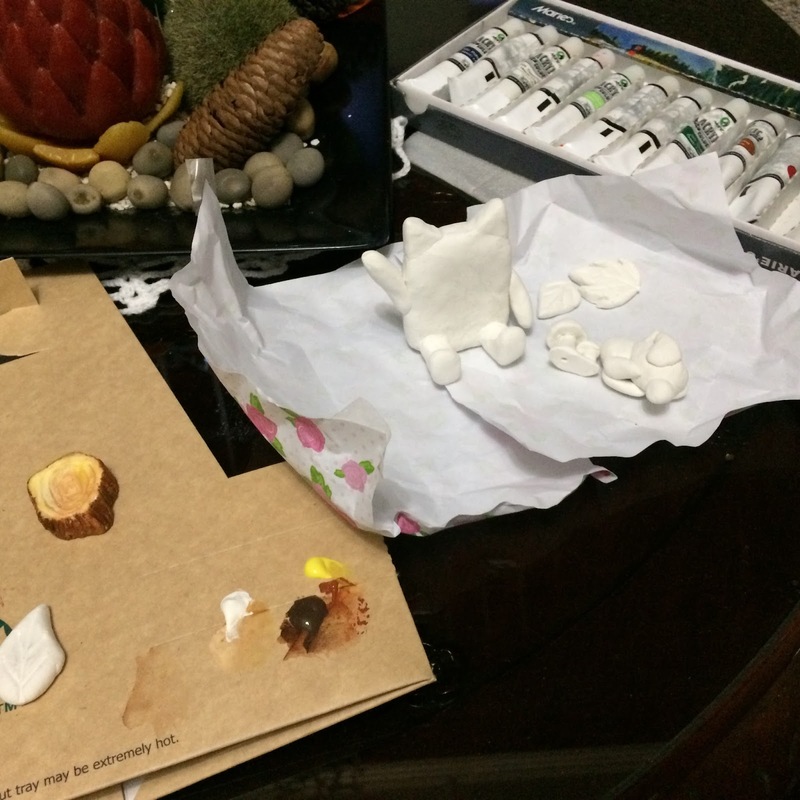 Iya also made a white cone rabbit that I used for the treasure hunt. How radiant are these plants? 2. 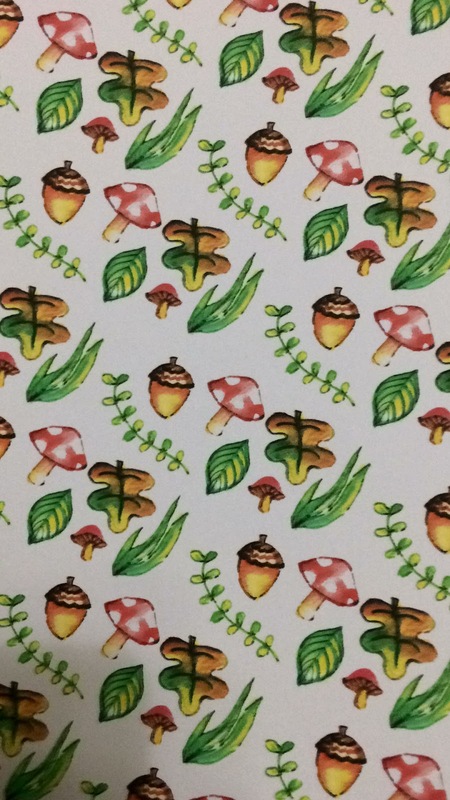 The stage and venue decorations – The color scheme comprises of fall colors like green, orange/rust, and yellow. 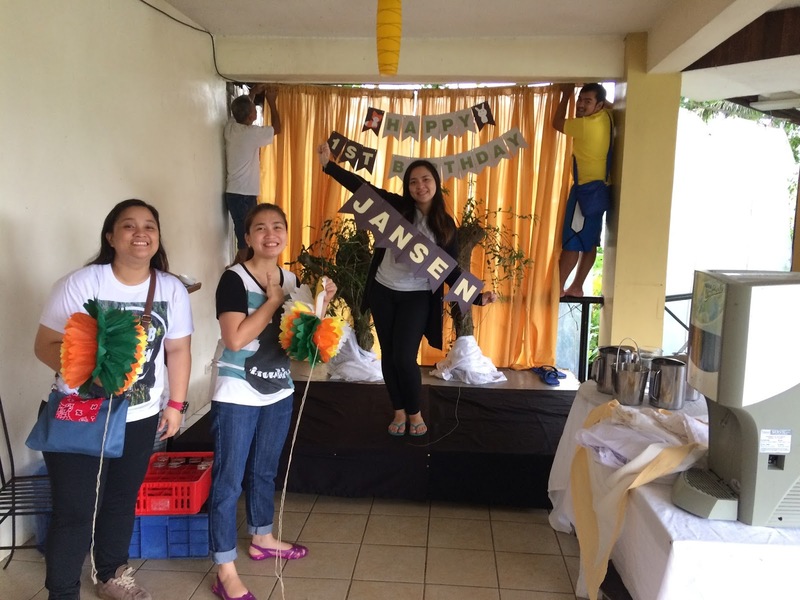 The banner was made out of cardboard, cut-out letters, twine, and Iya’s fox and rabbit drawings (How cute is that?!) 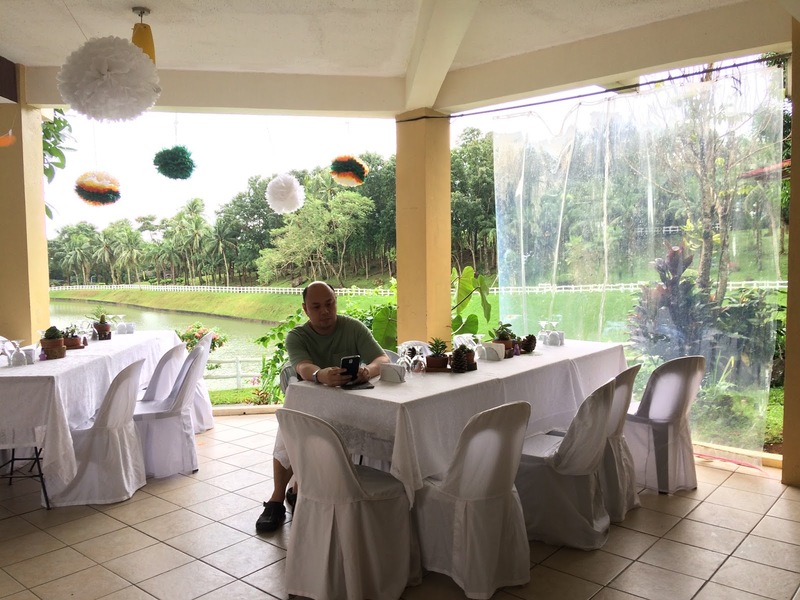 I also borrowed Nanay’s ducks to place at the back part of the stage. The buntings were print outs from the same cardboard with Carmen’s doilies. I also made pompoms out of Japanese paper. I thought 10 packs were enough but no! When I saw the venue I was overwhelmed because of the number of pompoms that I needed to make! 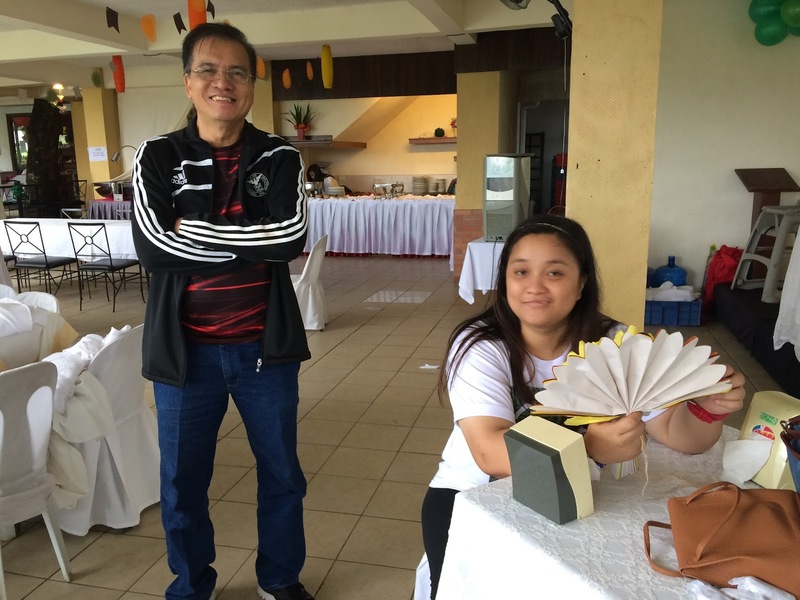 I bought extras in National Lucena City and was folding and cutting during Christmas day! huhuhu! 4. 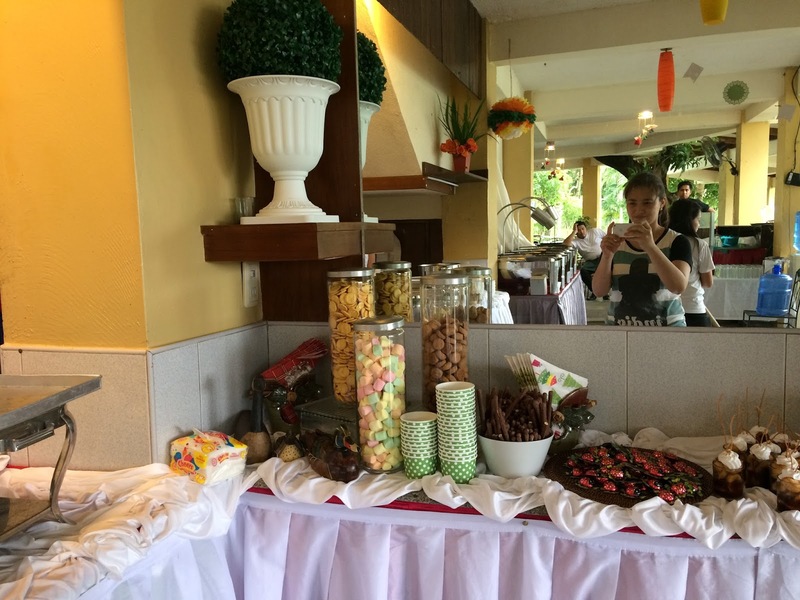 The sweets buffet – I love to have a sweets buffet but I know it will cost me around 8,000 for the set-up complete with the chocolate fountain. I also know that it is impractical to have one. 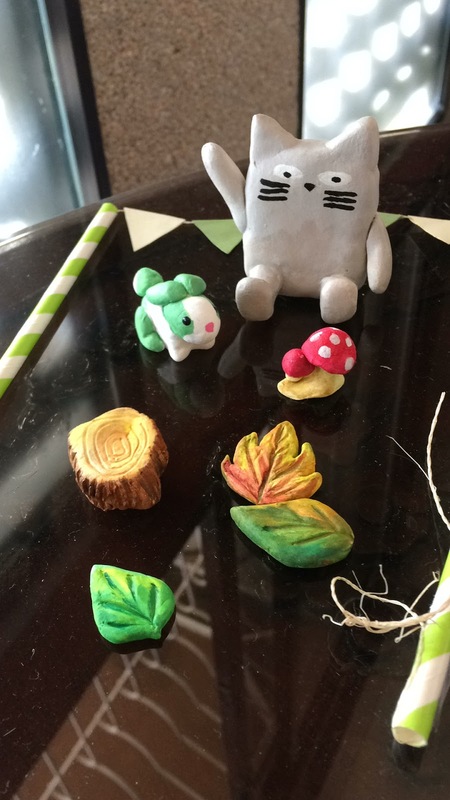 I went to a baking store and got all the items in bulk like the mini butter cookies, mini chocolate chip cookies, marshmallows, the pretzels, the chocolate bugs, and the cups. I asked nanay if I can borrow the glass containers (trivia: the glass containers were also used for sweets during my wedding) and bowls for these. 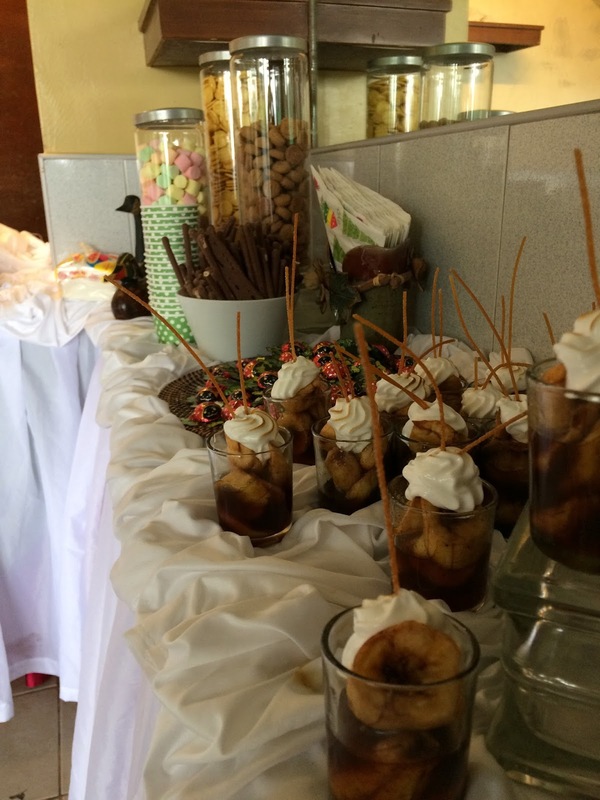 The banana caramel and cupcakes were part of the food package from Graceland. It turned out cute even though I lacked the chocolate fountain. 5. The party committee – Where will I be without my supportive family? 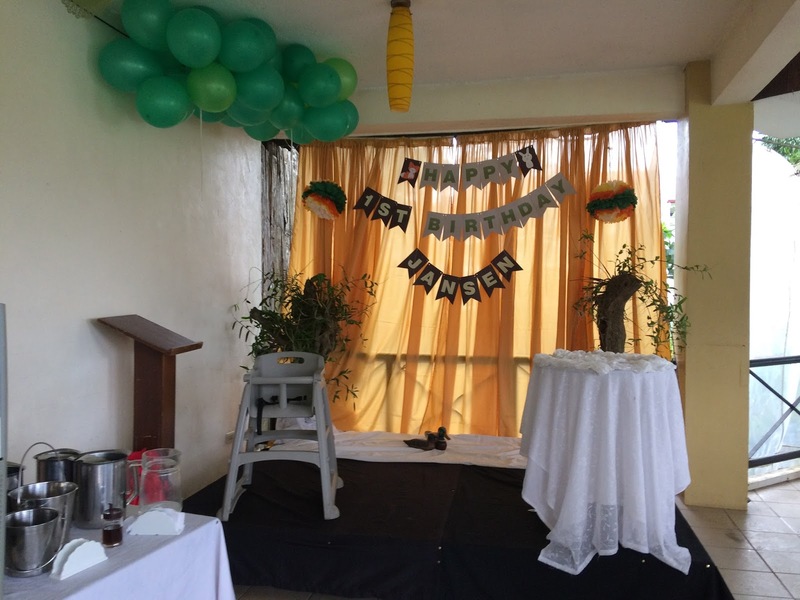 Thank you for my cousins Hans, Camille, and Phoebe and most importantly to my Tatay, Nanay, Tatay Bing for helping me set up my DIY party stuff. I am so grateful for having a very understanding family willing to put up will all my money-saving schemes! All these in midst of a typhoon in Quezon!